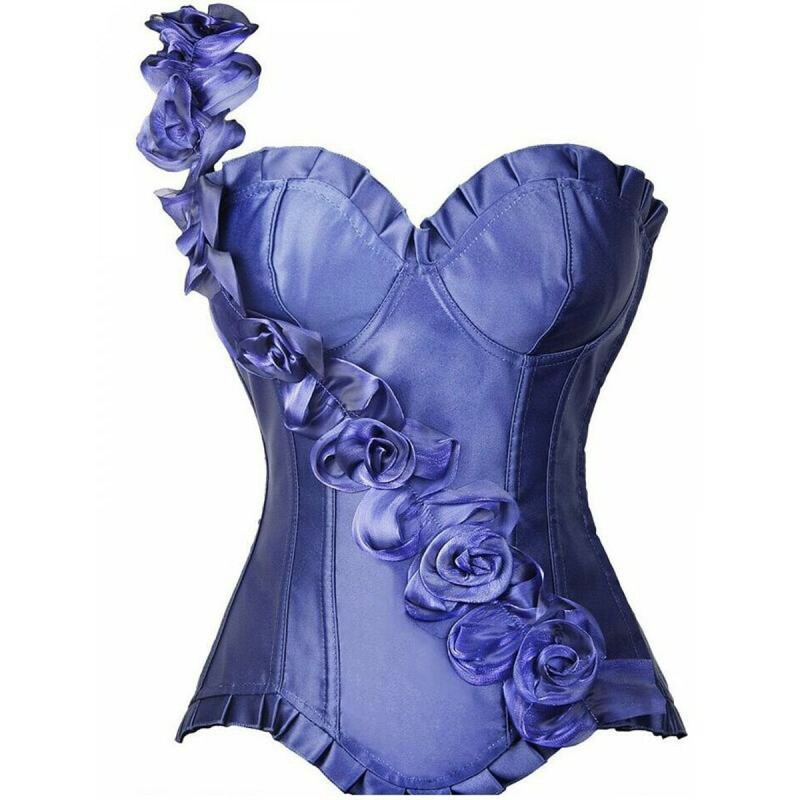 Corset Flors with a tie. The rods are highly resistant PVC. Tanga included. Side snap closure and back cross with satin ribbons. Pair it with some leggings.